Directed by William Friedkin. 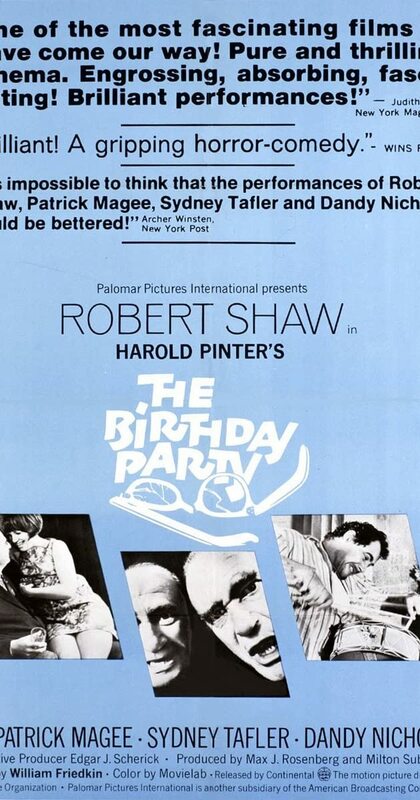 With Robert Shaw, Patrick Magee, Sydney Tafler, Dandy Nichols. The down-at-heel lodger in a seaside boarding house is menaced by two mysterious strangers, who eventually take him away.